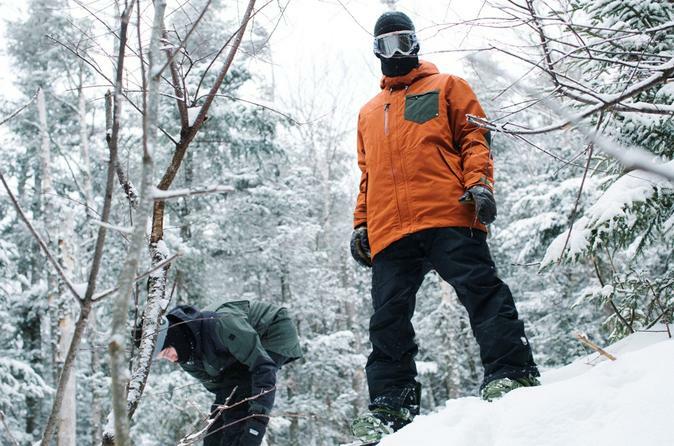 Keep warm and dry while on the slopes with our rental parka or pants. Must choose this item twice if renting both. Whether you rent the rest of your equipment from us or have your own, it's important to protect your skin by wearing the right kind of weather resistant clothing. Our adult clothing rental may fit some larger juniors. Sizes run XS, Small, Medium, Large, XL, and XXL in mens and womens sizes. The largest and smallest sizes are limited and you might want to call the ahead to the shop where you are renting to make sure they will have it in stock. Rental jackets come in modern colors; pants are black and both have no rental markings, so you won't look like you're renting. Clothing rental period is 24 hours.